HOHOHO! I hoped you had a JOLLY MERRY Christmas this year! For me, I NOMS so much festive food and snacks these few days I probably gained like 10kg of fats on my cheeks. "No hope for my chubby cheeks ;. ;"
I had previously posted about the Five Interesting Christmas Snacks for your Christmas Party! and had asked everyone of you to #YOLO with me and try out the eggnogs! 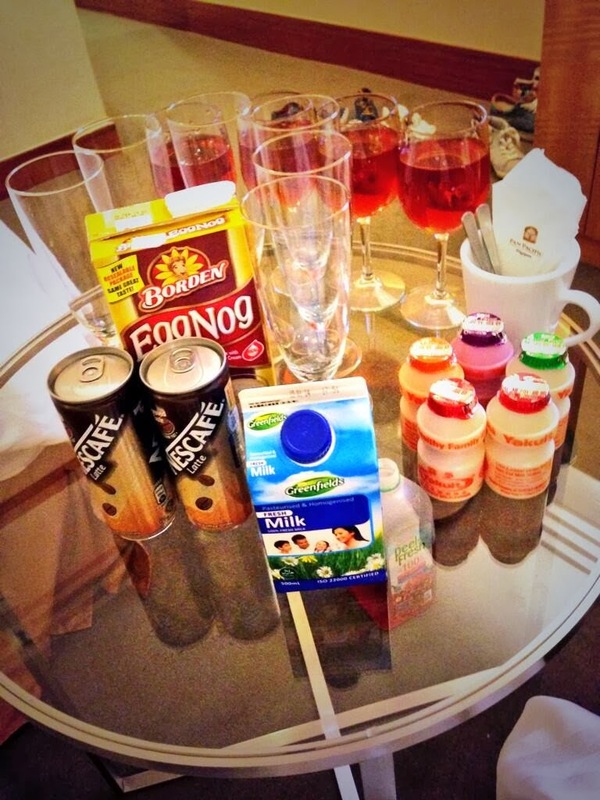 Well, if you have tried, you will understand wai the eggnog-culture is not adopted in our sunny Singapore. I had also ordered the Christmas logcake from Marina Mandarin and let me tell you.. IT WAS AWESOMES! "Chocolate Truffle Logcake from Marina Mandarin"
The highlight for the Christmas feast this year for me has definitely gotta be the eggnog that I have been wanting to try. "In preparation for the Eggnogs"
After mixing the coffee, milk and garnishing it with Milo powder, the end result was a drink that taste like condensed milk. Yeap. 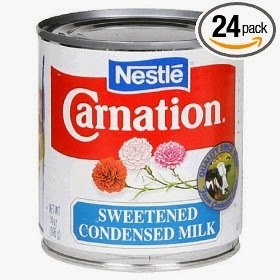 Tasted like someone just pour the whole can of condensed milk into your cup and added in some spices. It was nice for the first sip, but the subsequent sips you feel so sick of the thick, creamy milk taste you just wouldn't drink it again. Now I know WAI we never pick up this eggnog-drinking-culture. And this might be the reason wai we don't see any cafes selling eggnog lattes. I have a feeling that the eggnog punch is tastier though! Nevertheless, at least I have finally tried how eggnog taste like. Instead of staying in our comfort zones, we should always venture out of it and try something new every once in a while, because the universe has so much to offer to us. Besides, YOU ONLY LIVE ONCE. Even if you don't dare to try some of the things, there is always this kuku talkingevilbean who will try and review it for you, right? LOL. Let's look forward to the NEW YEAR SOON!